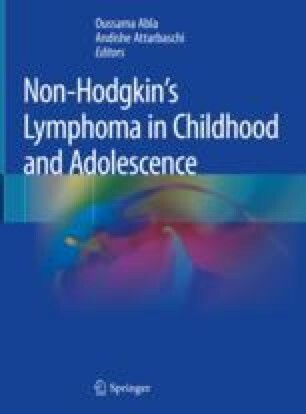 Excellent survival outcomes in children and adolescents with non-Hodgkin lymphoma (NHL) have led to an increased focus on long-term outcomes in survivors. The evolution of NHL treatment strategies has been guided by efforts to reduce exposure to treatment modalities associated with risk for late effects, such as cranial radiation and higher doses of anthracyclines and alkylating agents, while maintaining or improving survival outcomes. Despite these efforts, many survivors of NHL will suffer long-term physical, psychological, neurocognitive, or psychosocial impacts of their cancer and its treatment or will die prematurely. Specific late effects of therapy include subsequent cancers, cardiac disease, and impaired fertility. As a consequence, all survivors of NHL require lifelong care adapted to their specific risks. This includes provision of a treatment summary and survivor care plan, regular surveillance for late effects, and access to appropriate medical and psychological services, with the goal of maximizing both health and health-related quality of life.